Good evening girls, how are we doing this cold, miserable Tuesday? I've spent my time after work watching The September Issue with Anna Wintour (if you haven't seen it yet, I really recommend you do..) and I've been drinking my body weight in hot chocolate. For today's post, I wanted to strictly feature bags from House of Fraser, particularly the designer brands. I really don't think its possible to fall in love with so many bags at the same time. The bag range that House of Fraser have, including the brand, style and colour, really are inspiring. 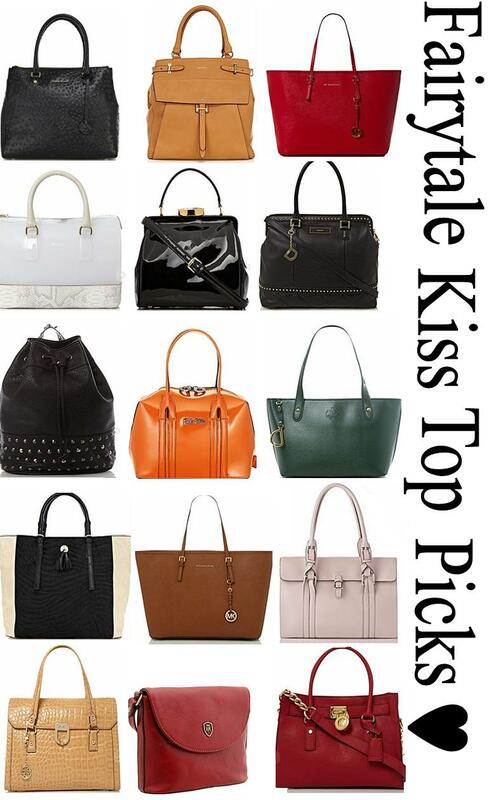 From Michael Kors to Karen Millen, there are countless bags to chose from. I think I have quite a particular taste in bags, I really like the colour tone to speak for itself and the size to be fairly large. I don't think I would say I'm a small bag lover, I believe bags should balance out an outfit and show of the sleek design and features. I'm loving the 5th one in, such a classic! love that black studded one! Arr same! Studs do make a bag interesting don't they?! I'm liking big bags too, because of my makeup bag. These are beautiful. Just love Michael Kors.